The work to "make Ubuntu fit on mobile" has advantages for the desktop users and recently, some changes have landed in Ubuntu 13.04 Raring Ringtail (currently under development) which should reduce the memory used by some default packages. code optimization in several desktop services. According to the Ubuntu Devel mailing list, the memory optimizations performed for Nexus (which include the desktop components mentioned above) has resulted in a drop for the idle memory usage from 600M to 400M. The change probably isn't so drastic for the desktop, but it's nevertheless an important step in the right direction. 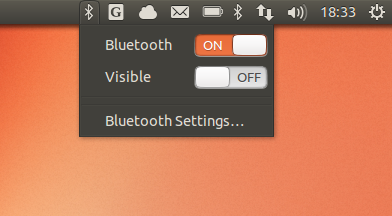 the second new default indicator is a Bluetooth Indicator, which should replace the old Bluetooth Indicator that is provided by a distro patch over the fallback icon of gnome-bluetooth (the old Bluetooth Applet fallback icon will be dropped along with the whole fallback mode with GNOME 3.8). For now there are two bluetooth icons displayed on the top panel, but the Bluetooth Applet will probably be built without AppIndicator support soon to fix this. I also have to mention that Ubuntu 13.04 Raring Ringtail is the most stable Ubuntu development version I've used so far. Up until now, I've only encountered one nasty bug with Intel graphic cards that was fixed a while back. 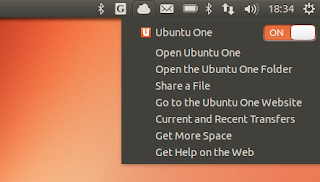 If you want to give it a try, you can download the latest Ubuntu 13.04 Raring Ringtail daily ISO from HERE. But, even though it feels quite stable, Ubuntu Raring Ringtail is still in development so things can break! Don't use it on production machines!